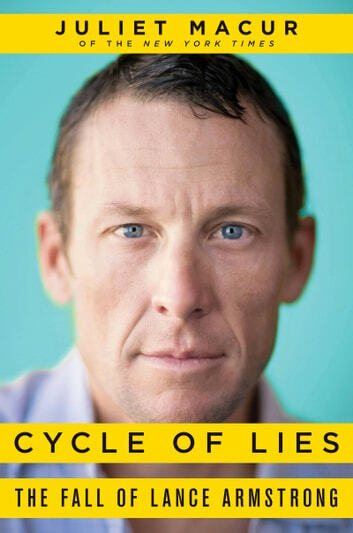 The definitive account of Lance Armstrong's spectacular rise and fall. In June 2013, when Lance Armstrong fled his palatial home in Texas, downsizing in the face of multimillion-dollar lawsuits, Juliet Macur was there—talking to his girlfriend and children and listening to Armstrong's version of the truth. She was one of the few media members aside from Oprah Winfrey to be granted extended one-on-one access to the most famous pariah in sports. 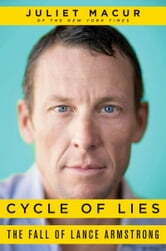 At the center of Cycle of Lies is Armstrong himself, revealed through face-to-face interviews. But this unfolding narrative is given depth and breadth by the firsthand accounts of more than one hundred witnesses, including family members whom Armstrong had long since turned his back on—the adoptive father who gave him the Armstrong name, a grandmother, an aunt. Perhaps most damning of all is the taped testimony of the late J.T. Neal, the most influential of Armstrong's many father figures, recorded in the final years of Neal's life as he lost his battle with cancer just as Armstrong gained fame for surviving the disease. In the end, it was Armstrong's former friends, those who had once occupied the precious space of his inner circle, who betrayed him. They were the ones who dealt Armstrong his fatal blow by breaking the code of silence that shielded the public from the grim truth about the sport of cycling—and the grim truth about its golden boy, Armstrong. Threading together the vivid and disparate voices of those with intimate knowledge of the private and public Armstrong, Macur weaves a comprehensive and unforgettably rich tapestry of one man's astonishing rise to global fame and fortune and his devastating fall from grace. Lance Armstrong should be ashamed however it does not appear thats an emotion he is capable of. Shame on him. As a father he has left this legacy to his children. Nothing they can ever be proud of their father for.